Eighteen-year-old Simon Peters wants to stand up for the truth about who he is. His love for Stephen is unwavering, but does he have the courage to defend it when his entire church community, including his eldest brother Paul, have ostracized him? Will Stephen's feelings change now that he's been banished to the Waverly Christian Center to learn how to be normal again? Trapped in a cashier's job he hates, struggling to maintain peace with his brothers after their parents have died, and determined to look after his mute twin and his friend Tina, Simon puts everyone else's needs before his own. It takes a courageous act on the part of Jude, his devoted twin, to change both of their lives forever. Jude, who is wiser than anyone ever knew. Jude, who understands that the meaning of the fig tree blooming in their scrappy backyard can finally set them free. 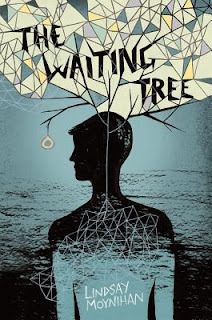 Add your review of "The Waiting Tree" in comments!